Just nine percent of employers are considered to be 'digital innovators'. There are mixed reactions to artificial intelligence too, with 34 percent negative (made up of 21 percent threatened, five percent confused and eight percent saddened), while 21 percent were positive and 30 percent intrigued. 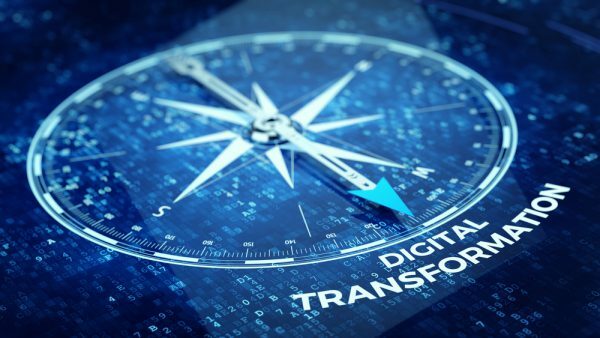 "It's obvious that not enough time is being devoted to communicating with employees to develop their understanding and involvement in the process of digital transformation," says Oliver Krebs, vice president of EMEA sales for Cherwell. "Unless business leaders bring their teams along with them on this journey British organizations are likely to fail and our ability to compete in the global market place will be severely compromised." Central to the success of most digital transformation projects is ensuring a consistent and integrated approach to the use of processes and data across all departments. Yet the survey reveals that just six percent of businesses' data and processes are very well integrated across all departments and 42 percent have not integrated inter-departmental data and processes well. "The research demonstrates that UK businesses still have a lot to learn in terms of planning and implementing digital transformation and their adoption of new technologies like artificial intelligence if they want to shed their image of digital innovation followers," says Andre Cuenin, chief revenue officer of Cherwell said. "The deep level of confusion and miscommunication amongst employees must be addressed by industry leaders. This may be due to the fact that digital transformation is frequently pigeon-holed as an IT issue, whereas in reality it should be seen as an initiative that involves everyone across the business, from the board, down to the most junior employee." You can read more on the Cherwell blog.